Dogs and cats have long been common pets, but what about exotic creatures such as iguanas? They are fast lizards of a light green color with long tails that are very afraid of people and lead a secretive way of life. Iguanas like to hunt rabbits and is a very complex animal for domestication. You need to be patient and grow a lot of melons to try to tame this creature. The addon ported to Minecraft PE 1.8. Added new animations: Now iguanas move more realistically. Finding iguanas is not so difficult, because they live almost everywhere. You will feel difficult when you move to taming, as the chance of a successful taming is not so great. After several attempts and constant running, you tame the iguana and eventually get a good friend. Build a good aquarium for the iguana and keep watching. At least this is not as common as unlike standard pets. The Animals addon are not only iguanas, there you will see many new animals based on real animals. 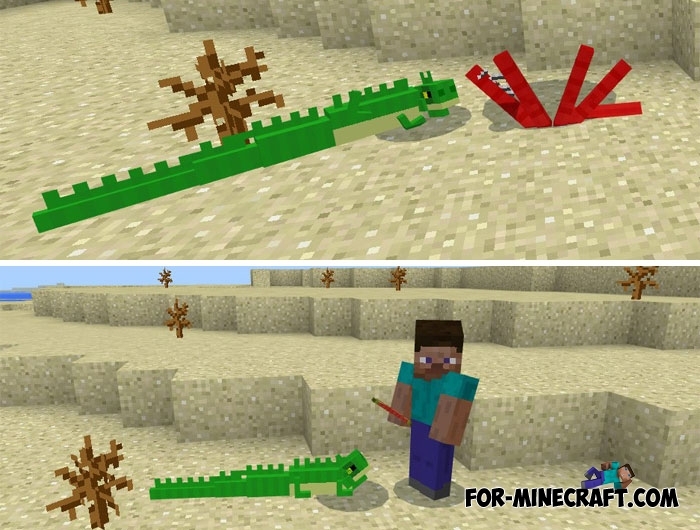 Tigers, lions, elephants and many others will be added to your MCPE along with unique behaviors and parameters. How to install the Iguanas addon? Lions addon (MCPE 1.0.X)We have already added Animals mod that adds not only lions but also tigers, pandas and zebras. 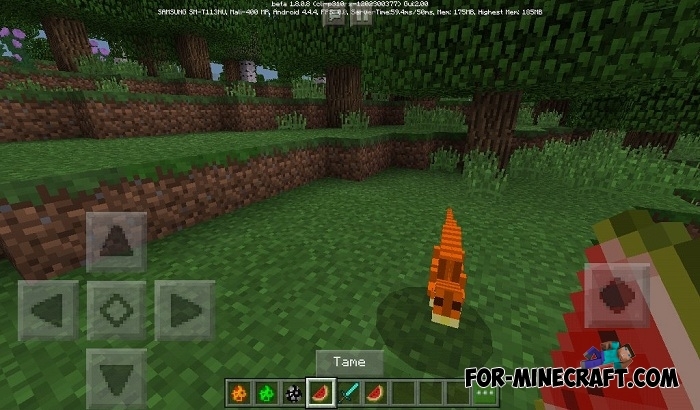 But this is a mod..
Pocket Creatures Mod for Minecraft PE 0.15.0/0.15.7Here you will find a lot of different animals! Not for the weak DEVICES!